Aggrieved residents of Tarkwa, a mining town in the Western region, Wednesday morning blocked the Tarkwa–Obuasi highway due to the deplorable nature of their roads. 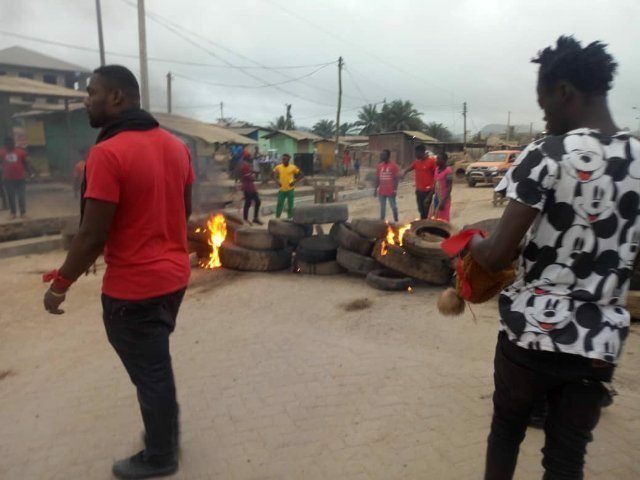 The group, under the umbrella name ‘Concerned Residents of Tarkwa’ numbering over a hundred, burnt tyres, chanted and prevented cars from moving. According to them, the roads are very dilapidated despite several promises from subsequent governments to fix them. They said it was unacceptable that minerals are mined from their community to feed the country’s income, but they lag behind in development. Nana Adjei, who is with local radio station, Space FM said the town had come to a total standstill, Wednesday morning following the protest. “Some taxi drivers used their cars to block the road to vehicular traffic bringing business activities to a halt,” he added. Mr Adjei noted that the protesters had the blessings of the chiefs and opinion leaders in the area since all efforts to get the roads fixed had proven futile. “All cars from Takoradi have been prevented from entering Tarkwa. They have vowed to continue the protest until the roads are fixed,” he noted. 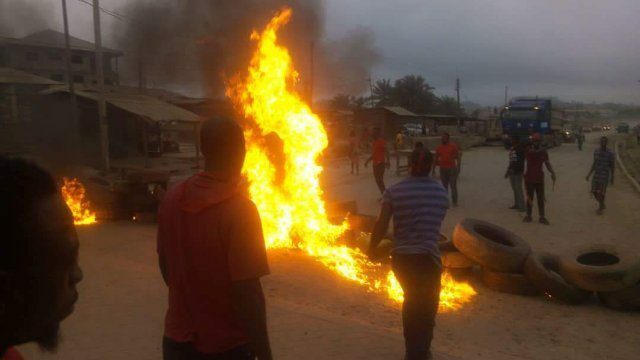 Meanwhile, the leaders of the ‘Concerned Residents’ said they will send an official petition to the Tarkwa Municipal Assembly for further action.